HandsDown Ultra Nail Wipes are disposable nonwoven wipes that are thin but robust and virtually lint free with an embossed floral design. 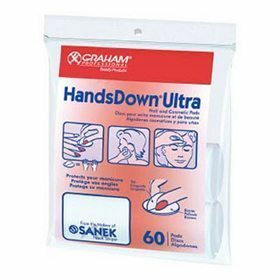 HandsDown Ultra Nail Wipes are the superior alternative to gauze; they remove polish from natural or enhanced nails, sticky residue from gel nails or are perfect for using during PREP. 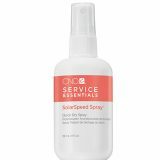 HandsDown Ultra Nail Wipes are excellent for cleaning brushes and tools and for prepping the nail before polish is applied.